Initial reports focused on US initiatives, confirming details that had been suspected for years. 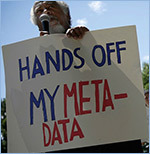 The first was a sweeping court order that required Verizon, a US telecommunications firm, to hand over so-called metadata on millions of customers – including location, call duration, and some identifiers. The second was PRISM, a code name for a program that, with the cooperation of internet companies, allegedly allows tracking of internet communications and searches. Since the Snowden revelations, a slew of reports show that the US is not alone. Other liberal western countries have carried on extensive surveillance of their citizens with the goal of identifying possible terrorists and miscreants. Unprecedented expansion of state power at the expense of individuals and the empowerment of individuals by web technology has set the stage for a long struggle. This YaleGlobal special section presents articles that analyze the globalization of national surveillance programs, the cross-border consequences and erosion of global trust.